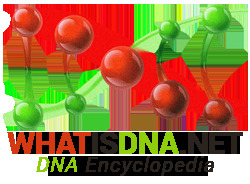 DNA extraction, as the name suggests, is simply a process that results in separation of DNA from the cells or viruses that are hosting it. Though the meaning is simple, the process is not. When we go into the peculiar details of DNA extraction, we realize that it’s more of an initial stage in other extensive DNA testing processes. DNA tests could be performed for any reason, however for any DNA testing to happen, the first stage normally is the isolation and extraction of DNA molecules from the cells that they reside in. DNA extraction follows a series of steps, stripping all proteins from the DNA and the extraction protocols have to make sure that the DNA thus obtained via isolation and extraction are of high or acceptable quality. There are plenty of industrial scale methods employed for DNA extraction including Large scale double-stranded DNA isolation, Midiprep double-stranded DNA isolation, Miniprep double-stranded DNA isolation, etc. The first step is to break the cell that contains the DNA. Secondly, proteins that have long been associated with the DNA as well as other proteins belonging to the cell need to be cut off and completely removed. Certain salts are used in this step. Precipitate DNA with cold ethanol. Note that DNA doesn’t dissolve in alcohol and will retain its form. Thus the alcohol only works like a washing agent to get rid of the salts added in the last step. Dry the alcohol and test for the presence of DNA, perhaps via the electrophoresis process. Again, it is important to have DNA with acceptable purity for further testing. This could be verified via testing for a scientific ratio. Any intolerable variance in this ratio means that DNA is still contaminated with the proteins it was supposed to get rid off via the extraction process. Bead Beater – getting to the DNA is made possible by this one that breaks the cell. Centrifuge – The DNA needs to be precipitated after being washed by ethanol for removal of cells. Gel Box – Used in the DNA electrophoresis process that not only verifies the presence of DNA but also fragments it for further testing.